News : " Rêve Duo "
Valid on every week starting between the 1 st of June until the 13 th of July and between the 17 th of August until the 28 th of September. Offer for up to 2 persons on our 5 persons "Rêve" chalet placed on a landscapped grassy pitch of 150 m2 with its own individual BBQ ! 35 m2 chalet with its covered terrace, with garden fourniture and 2 sunbeds.2 bedrooms, living room with a kitchen unit, shower room with bassin and toilets. It is possible to come with 1 dog maximum ( with extra fee). 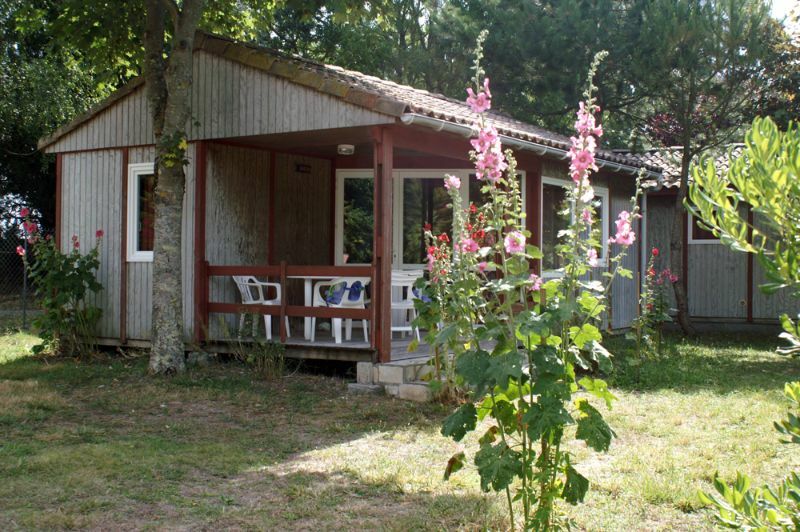 Your chalet rental for 2 persons in Médis, near Royan and near St Georges de Didonne.